7 Years Of Science Commentary '13.7: Cosmos And Culture' Comes To An End At NPR : 13.7: Cosmos And Culture Through science commentary, we created a place for exploration of deep, complex issues. There's a hunger in all of us for more than just facts — we hunger for meaning, says astrophysicist Adam Frank. 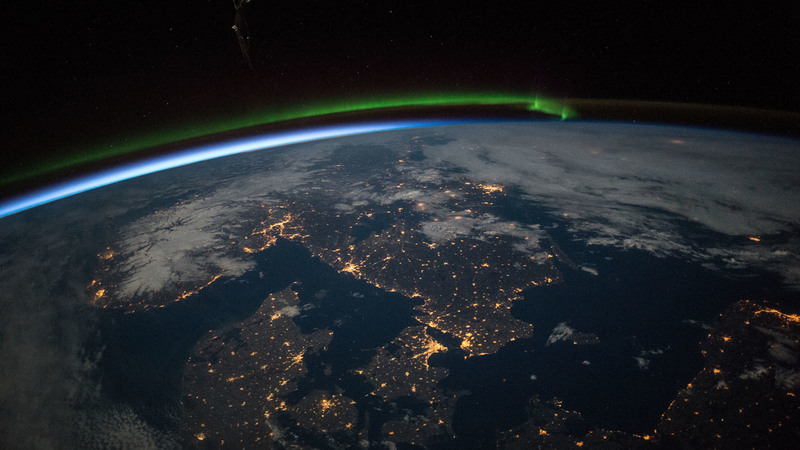 Astronauts aboard the International Space Station took this image of southern Scandinavia, showing the northern lights aurora, just before midnight under a full moon on April 3, 2015.